The 2-Arms brass crystal wall light with the cut crystal balls. 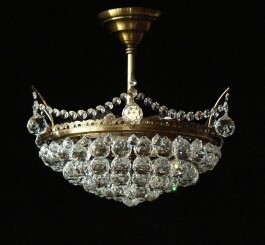 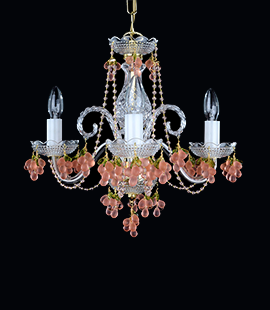 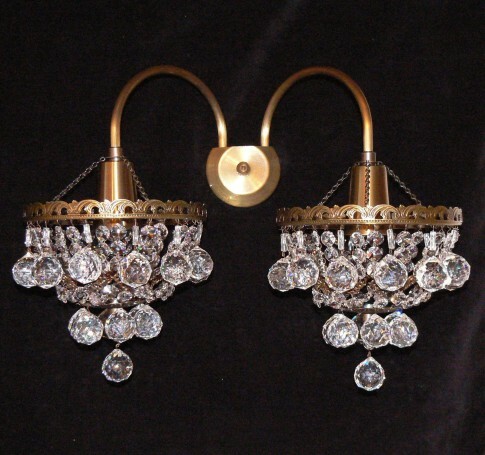 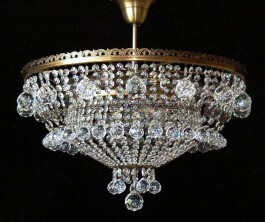 The Czech Strass crystal wall sconce. 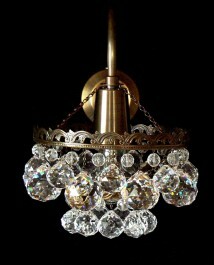 Metal finish: Brown stained brass. 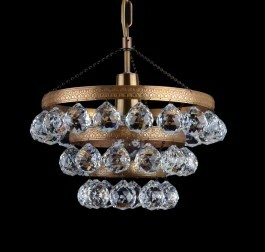 Dimensions (W x H x D): 44 x 35 x 26 cm/ 18"x14.3"x10.6"
Optional metal finish: Stained brass (patina), Silver (nickel coated brass), or pure gold Brass.